Capitalizing on the dedicated efforts and hard work of our dexterous professionals, we have been able to provide an optimum quality array of Metal Seal. High pressure rotary seals are capable to withstand under high pressure application such as hydraulic pumps or motors, power steering application etc. 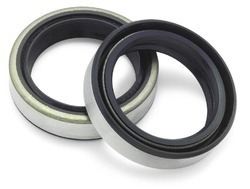 Since our commencement, we are known for manufacturing, supplying and exporting a quality array of Metallic Oil Seal. With the help of dedicated task force, we are highly affianced in offering a widespread array of Metal Seals. All variety of seals like, Snap-on seals, Push type seals, Ne stack seals are available for various applications with Customers Logo/Signature. These are replacement parts for OEM’s clamp connectors. Material – 4140/ 17-4 PH / Duplex to NACE MR 01-75 and Teflon coated. 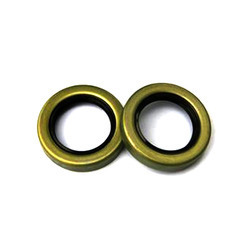 Metal Seals with ‘O’ rings suitable for corroded seating in mud applications.